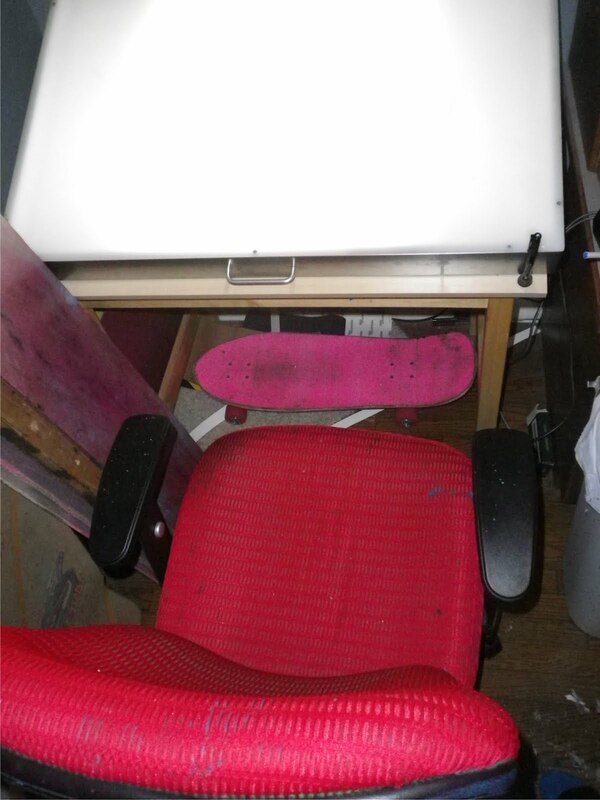 This is my inking station. Got all the stuff right here. good pens, and skateboard footrest.